JERUSALEM — IF Secretary of State John Kerry’s attempts to revive talks between Israel and the Palestinian Authority fail because of Israel’s continuing construction of illegal settlements, the Israeli government is likely to face an international boycott “on steroids ,” as Mr.
During a visit to Lebanon in 2000, I asked Amal, a Palestinian child in the Ain Al Hilweh refugee camp, "What do you wish the most?" Without hesitation, she said: "To slip into your suitcase when you head back to Palestine, to go home." Her sense of deep nostalgia for a place she'd never visited except in her dreams and her grandparents' tales was quite pervasive among her peers. The European Union is not “merely hypocritical” in its relationship with Israel, it is “complicit in crimes against the Palestinian people.” This is one of the main conclusions of David Cronin’s compellingly-argued book Europe’s Alliance With Israel: Aiding the Occupation. 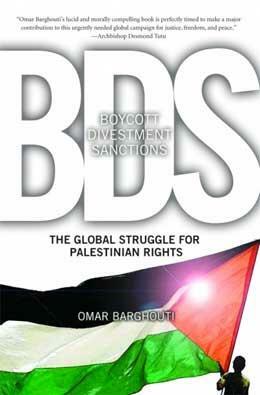 "You should definitely postpone your book launch in Jerusalem," warned a close friend who felt that the planned event for launching my recently published book on the Palestinian-led movement for boycott, divestment, and sanctions (BDS) against Israel might be too risky in light of the recently passed Israeli law that effectively bans support for the thriving boycott movement. “Our South Africa moment has finally arrived,” said Palestinian author-activist Omar Barghouti in a series of speeches delivered in 2010.